You came here looking for Audible alternatives, so you already know what Audible is and why it is useful. In case you don’t already know, Audible is owned by eCommerce behemoth, Amazon, and is one the biggest audiobooks platform in the world. Before we look at the 10 Audible alternatives that are good or better, I will quickly summarize what Audible has to offer for the price tag. The most popular Audible subscription (Gold plan) cost $15/month for 1-credit/month. The 1 credit you get each month can be used to buy any 1 Audiobook. You also get membership benefits like 30% discounts on every audiobook. But even then, Audible is an expensive service, especially if you are from a developing country where purchasing parity is low compared to the west. If are looking for Audible alternatives because you find it expensive, this video might help you save money on Audible. 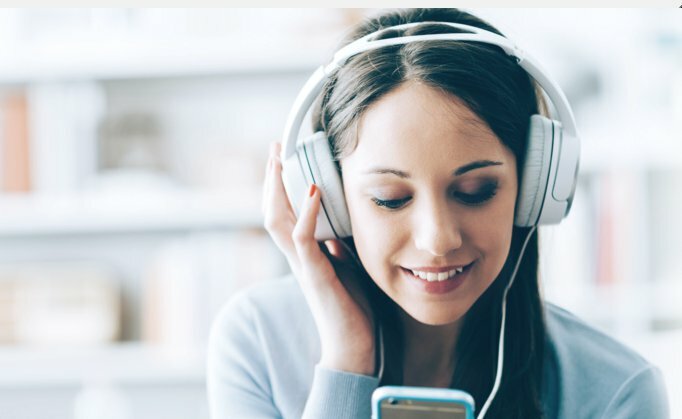 Audiobooks is a strong audible alternative, with a collection of more than 85000 titles (Audible has more than 200,000 audiobooks) and have apps available for both iOS and Android platform. Another notable feature is that not all books are DRM protected, like in case of Audible. Audible use DRM (digital rights management) to make sure that audiobooks brought through its service are only played through its official app. Pricing: Audiobooks Now offer Club Pricing Plan for $4.99, which gives you 50% off your first audiobook each month and 35-40% off everything else. Membership is priced at $4.99 which is quite low when compared to Audible. For the sake of comparison, the book ‘Think and Grow Rich by Napolean Hill’ is available on Audible for either 1 credit or $15. On Audiobook now, the same book is sold for $9.97 after you pay $4.99 for club pricing plan. Overall, the pricing is somewhat same on both Audible and Audiobooks now, if you buy one book per month. However, if you add another book to the list (say Mastery by Robert Greene) then it’s going to cost $17 extra on Audible and just $12 extra on Audiobooks now. Meaning, Audiobooks now gets cheaper as you buy more books. Bottomline: I liked the membership plan. The entry barrier is low and not all audiobooks are DRM protected. It works on a number of devices and browsers and features a collection of free titles as well. Barnes and Nobles have long been a competitor of Kindle and to counter Audible, B&N designed Nook Audiobooks. Nook Audiobooks comes with a collection of over 60,000 titles available on all major platforms. There is no monthly subscription plan and you will have to pay for what you read. If you are not a prolific reader, Nook Audiobooks may suit you better. The UI is smooth and clean as you would expect from a company like B&N. Pricing: Think and Grow Rich is available for $16.49 which is higher than Audiobooks Now and Audible in general. Bottomline: When I visited the Play Store to try the app on my OnePlus 2, I found the app was incompatible! Nook Audiobooks has no membership but offers a pay-as-you-go model which is good if you read occasionally. Downpour is popular among the fans for providing DRM free content, but that is not the only reason why Downpour made the Audible alternatives list. Downpour offers Audiobook rentals meaning you don’t own the Audiobook for the life time like you did with Audible, instead you just rent an Audiobook like you would rent a movie. This will also allow you to free space on your smartphone as you can “return” the Audiobook and download another one. Pricing: Rental periods vary from Audiobook to Audiobook and can be anywhere between 30-60 days. Downpour claims that you will be able to save up to 70% on the retail price. The membership has been priced at $12.99. Think and Grow Rich’s rental price is not mentioned but I dug a little and found that most books are available to rent between $2.95-$9.95. Bottomline: I liked downpour for its rental feature which makes it an ideal choice for those who don’t repeat their audiobook after they done listening once. Scribd is one of the best Audible alternatives out there. In fact, I feel it is better than Audible. Sure Amazon has a team of editors and directors in its studio, but so does Scribd. You will find a collection of 150,000 ebooks plus audiobooks, newspapers, magazines, and articles on the platform. Pricing: Membership plan, priced at $8.99, gets you everything mentioned above plus every month, as a member, you get 3 book credits and 1 Audiobook credit. Why credits? Because audiobooks and some premium ebooks are not included in the plan. 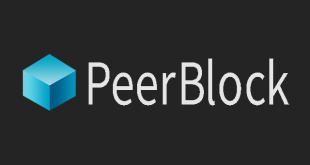 This brings Scribd on par with other services, but at a much lower rate. You also get access to renowned magazines and newspapers like Times, NYT, WSJ, and more. Think and Grow Rich is available for free as you get 1 monthly credit free. You just have to subscribe. Bottomline: I liked Scribd for its low price, extensive library, and additional media content like news, blogs, and magazines. Scribd is a true Audible alternative. Audiobooks is a Canadian company that runs on a credit system, just like Audible. Price: You pay $15 per month to receive 1 credit that will allow you to listen to one audiobook per month from a library of over 100,000 titles. You can buy additional credits if need be. Needless to say, this is expensive when compared with services like Scribd. Think and Grow Rich will cost you $15 because 1 credit equals one book which makes it expensive, like Audible. Bottomline: While the library is good enough, it is expensive when compared to other Audible alternatives due to the credit system. 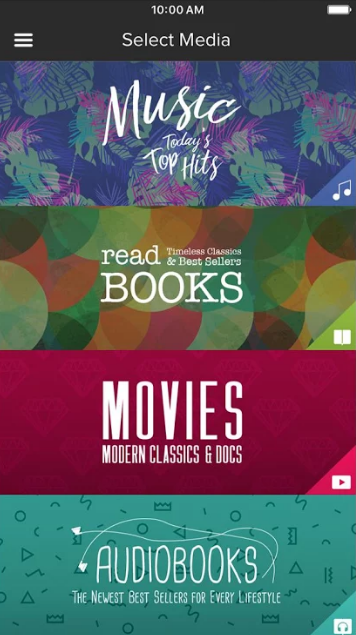 Playster offers a lot of different types of media like audiobooks, movies, music, and ebooks. There is no limit to the number of audiobooks you can listen to, but when you cancel the membership, you no longer own the books. The collection is rather small when compared with others reviewed above, but it doesn’t run on a credit system. If you are a prolific audiobook listener then Playster will prove to be a cheaper option. Price: There are different plans available based on what you are looking for. An all-access plan will cost you $24.99 and will include everything they have to offer. If you want only audiobooks, it will set you back by $14.99 which is the same as Audible. 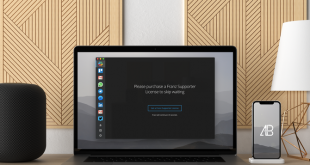 Bottomline: I liked Playster for the different types of media content they have to offer, and their all-access plan is a deal I would recommend you to consider. Serial Box isn’t your regular Audible alternatives. Instead of licensing audiobooks from popular publishers, the serial box has a team of in-house writers who produce their own short fiction (much like Netflix originals). Each story is broken down into the smaller episodes. Much like Amazon, episodes on Serial box are also available in both text and audio formats. Bottom Line: If all you want from audiobooks is short fiction such as sci-fi, fantasy, thrillers, mysteries, horror, etc, give it a try. eStories is another audiobook service provider with several popular titles like George R.R. Martin’s Game of Thrones and The Whitler by John Grisham. 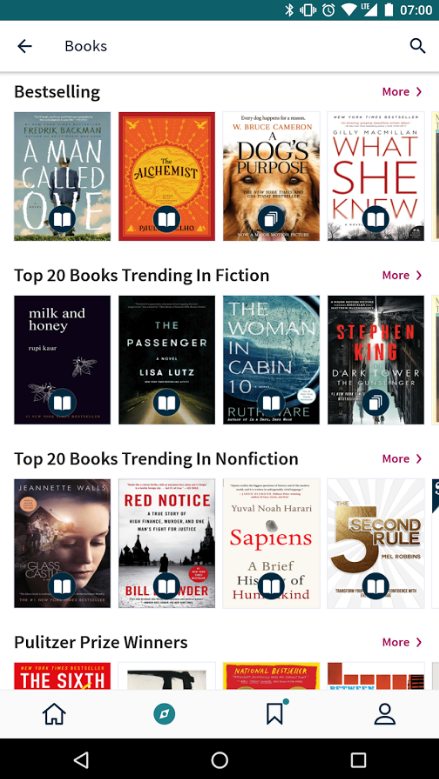 eStories claims to feature more than 120,000 audiobook titles in their library featuring some of the most popular and recent books as I shared above. While the price is slightly on the higher side, you may consider it if you are looking for a title that is not available on other platforms. You get 30 days to return a book and some extra credits upon joining. 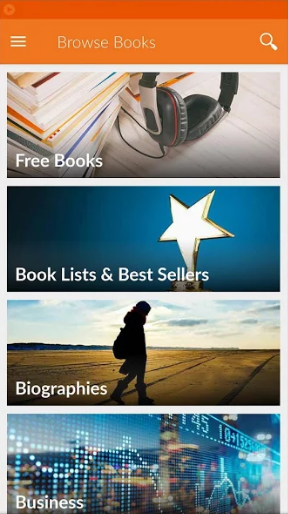 Price: They have 3 different plans starting from $9.99 that offers you 1 book per month with 5 connected devices. The credits can be rolled over for up to 6 months. They have a promotion running where you get the first 3 months for $5.99. Bottom Line: They have a good collection but the price is a bit higher than the competition. It all comes down to the title you are looking for. 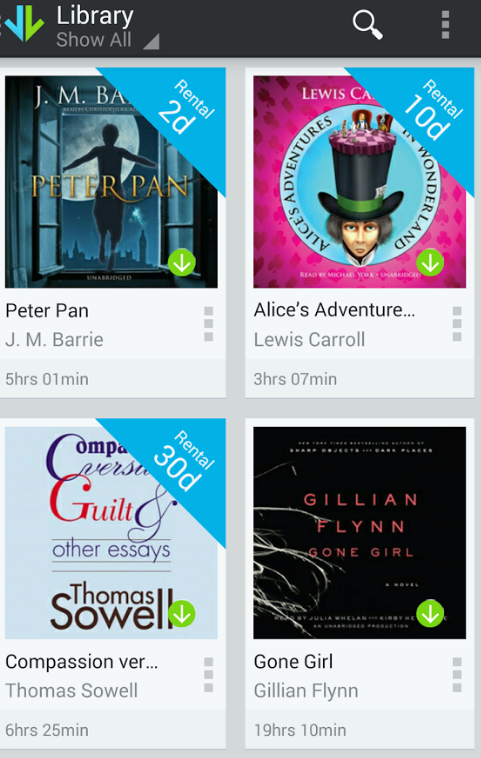 Today, Google has also started selling audiobooks on the Google Play Store. 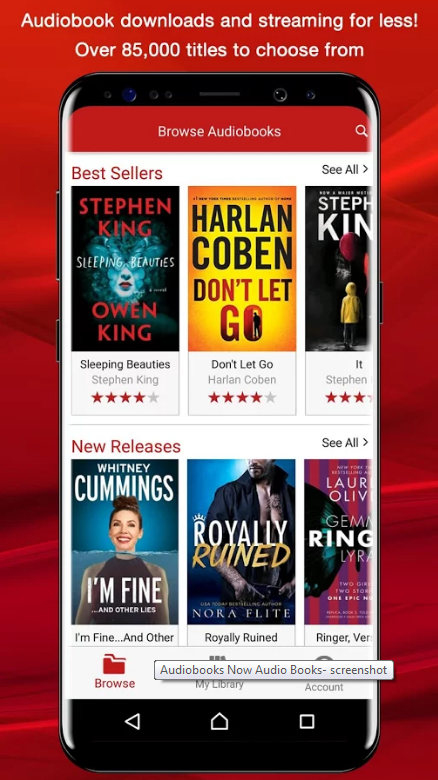 As of now, they are also offering 50 percent off your first audiobook purchase and unlike Audible, purchase audiobooks without a subscription. 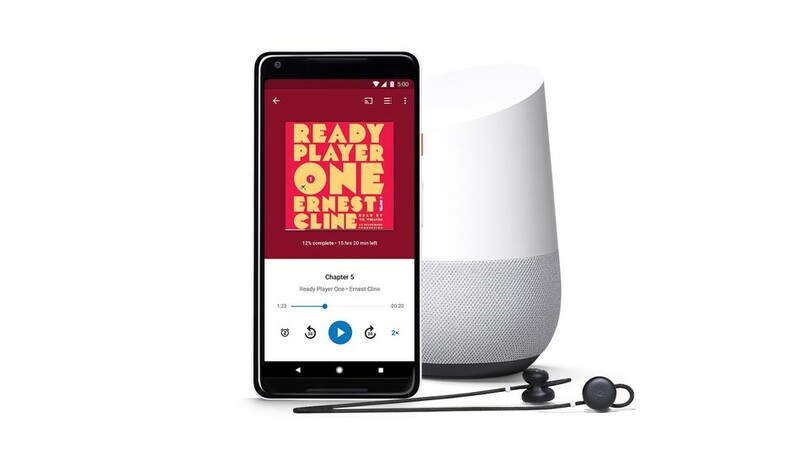 Just like you can listen to your Audible audiobooks using Amazon echo, if you purchase audiobooks from Google play store, you’ll be able to listen to it Google home or any Google assistant cable device. 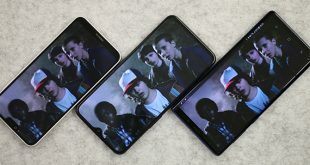 Basic features like listen up to 2x speed, sleep timer, sync across multiple devices is there. We still don’t know how many titles they behold, but thankfully, the audiobooks are available in 45 countries and in nine languages. Price: Since there is no subscription model, there is no fixed price. Every audiobook has a different price. 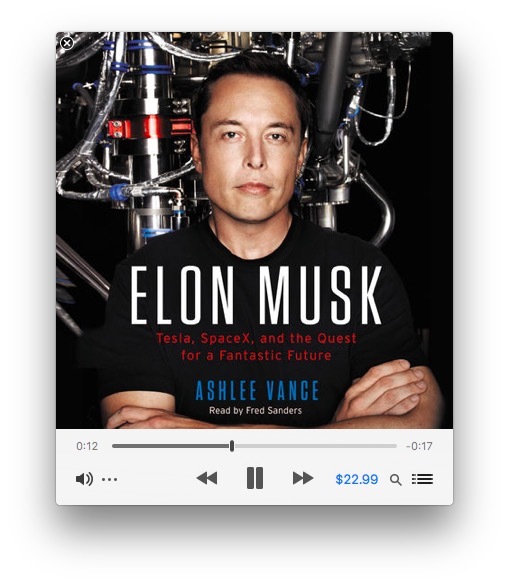 Though Google is offering very deep discounts on lots of audiobooks For instance, Elon Musk is just $5 which usually cost at least $15 elsewhere. Bottom Line: Google has the potential to meet Audible eye-to-eye. However, it’s too early to say anything as of now, since the number of titles and return policy of Google is still not clear. We’ll update the post, as we learn more. 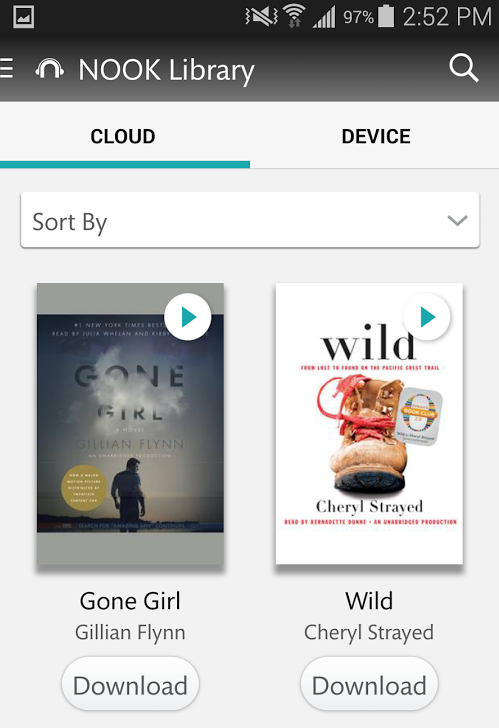 Read: Amazon Audible vs. Google Play Audiobooks: Which One to Choose? Much like Google, Apple also sells Audiobooks on iTunes. On your Mac launch the iTunes store, use the drop-down list at the top to select audiobooks. Then, you can check out various audiobooks or search for the one you want to listen. Price: Much like Google Audiobooks, it also doesn’t have any subscription model. You can buy any available audiobook from the catalog and keep it forever. Although, in my experience, books are priced slightly on the expensive side. For instance, Elon Musk is $22 and E Myth Revisited is $16.99, while it’s $14.99 on Audible. That said, Apple does release free audiobooks from time to time. Bottom Line: If you are invested in the Apple ecosystem and don’t want to download yet another app just to listen to a couple of Audiobooks, then give Apple Audiobooks a try. While Audible is one of the best audiobook platforms available, I liked Scribd better simply because it offers more for less. The collection of audiobooks matches Audible, and it offers other forms of content like eBooks, magazines, and news as well. While other alternatives are good, Scribd’s pricing makes it a clear winner. If you have deeper pockets, Audible is still the best. I liked Downpour for its large library and rent model which allows me to move slowly and listen to audiobooks at my own pace without having to think about monthly renewals. LibriVox is the only free Audible alternative I reviewed because I found it to be the best.